This week the class with the highest percentage attendance is Year 4. The winner of the £5 book token is Lilly G. Well done. This week the class with the highest percentage attendance is Year 2. The winner of the £5 book token is Mitzee-May C. Well done. The class with the highest value points this week are Foundation Stage. Well done to you all. Over the last half term, there have been a number of trips and visits that have taken place. Please remember that these all come at a cost to the school and without your contributions, it is likely that over the coming months and years the number of visits and trips will be reduced due to the lack of money. Join me in congratulating Miss Malia and Miss Wallwork who married in the holidays. Wishing them all the best for the future. World Book Day was again a great success and it was fantastic to see so many children dressed up as their favourite book characters for the day. 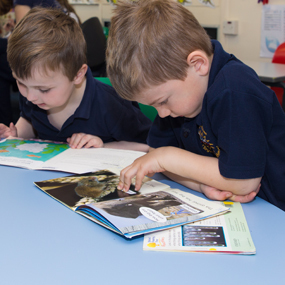 Reading is a great way to not only increase vocabulary, but also develop imagination too. May I take this opportunity to remind you of the importance of reading with your child. Spending the time reading with your child, not only provides them with time to practice but also helps to build their confidence with this life skill. Remember, reading isn't about decoding text, it is about having an understanding of what they are reading. Thank you to the PSA who donated £1000 towards the cost of the Panto trip as well as paying £500 towards the Science Dome which recently visited school. You may have noticed that we have recently had some building work done in school. 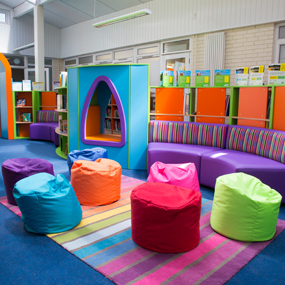 This has been to modernise the kitchen and develop a learning area for the children within school. This will not only providing a better learning environment for the children,but it will also enable the children to cook on a more regular basis over the course of the coming year. Attendance is continuing to improve and we want to thank you for your support with this. There were a total of 32 children who achieved 100% attendance for this term. Well Done. Staffing - We are delighted to welcome Mr Woolley as the headteacher whislt Mrs Simmonds is on maternity leave. Mr Woolley will be in and around school during the Summer Term to meet parents and children and to ensure a smooth transition ready for September. We would also like to welcome Mr Boast, who will be joining our staff team in September as a class teacher. We will keep you informed about which teachers will be teaching which year groups in September. Thank you for your support with these changes. Finally, it is with regret that we need to inform you that Mr Gaff will be leaving at the end of the Summer Term. We would like to thank him for all of the work he done over his many years at the school. He has given so much to the school and will be greatly missed. We would like to wish him all the very best as he moves on to pastures new, with an exciting career outside of education. Attendance - This is something we are working hard to improve as a result of our Ofsted inspection. For the academic year 2017-2018, we have set an attendance figure of 97%+, however our current attendance figure is only 94.89% and needs to improve. Please may we remind you that if your child is absent, you must contact the school office to inform them, as any unauthorised absences may result in a fine. We have noticed an increase in the number of parents writing to us regarding holidays during term time. Please be advised that if you take your child out of school for a holiday, it will be unauthorised and this could lead to you being fined. Please check with either the school office, or the school website, for our term dates for next academic year, so as to avoid taking holidays during term time. We will be working hard as a school to improve the attendance figures. This will mean that from September 2018, more fines may be issued. 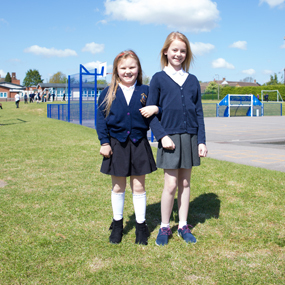 Uniform - It has been noted that school uniform over the Summer Term needs to improve. There are a number of children who are still wearing trainers and this is not school uniform. 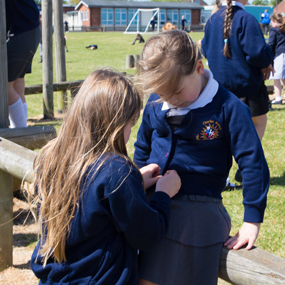 Children need to wear school t-shirts and jumpers, rather than hoodies, which again, are not school uniform. May I also remind you that leggings and tracksuit bottoms are not school uniform either. P.E. Kits should be either black or navy blue shorts with a white or navy blue t-shirt/polo shirt. It is vital that children are wearing school uniform as this can affect their behaviour and attitude to learning. Children without uniform will be receiving phone calls home, as it is something that we are really working hard on as a school. Thank you for your support with this. Thank you for your support with both SATs, in Years 2 and 6, as well as our recent Ofsted inspection. We appreciate that SATs can be a challenging time for the children and we would like to congratulate them on their resilience and their attitudes towards learning during this period. The results from the SATs will be sent out with reports at the end of the school year. 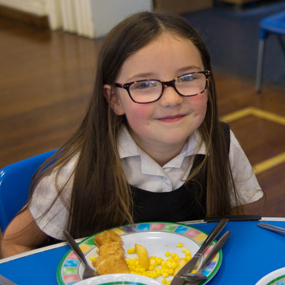 Your positive responses from the Parent View survey were recognised in the report, as well as it being noted on the day that children were in school on time and ready to learn. Dates for you diary - There are a number of important dates coming over the Summer Term. Please check the calendar on the school website or the complete newsletter for all of these important dates. Thank you for your support when the decision was made to close the school during the snow. We do not take the decision lightly and the safety of the children and staff is paramount. Thank you for the amount of support at parent's evening, and the number of positive responses we had on Parent View on the iPads during the evening too. The year 3 parent's evening will be rescheduled after the Easter holidays. We are fortunate to have some sessions for parents of year 1 children, to come along and find out how to support their child's learning. Many year 1 parents received information about this at parents evening. If you are a parent of a year 1 child and would like further information please contact Mrs Toward and let her know you are interested in getting involved. We are pleased to inform you that Miss Lett will be returning to work before the Easter holidays. This has meant that the year 3/4 production will be rescheduled for after the Easter holidays. We are looking forward to welcoming Miss Wallwork, who will be starting after the Easter holidays in Year 5. In other news, Mrs Simmonds is pleased to announce that she is expecting her second child in September. Her maternity leave will start at the end of the Summer term and we will keep you updated with the interim arrangements, once they have been decided. Thank you for your support with these changes. If your child is due to take part in a residential visit, please could we ask that all payments are made up to date. 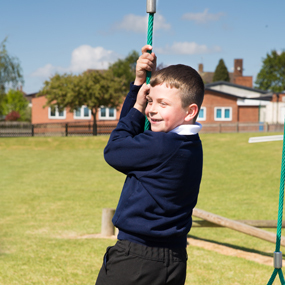 If your child is due to go to Rand Farm, full payment must be made by Wednesday 28th March. Thank you for all the donations of Easter eggs, there will be a raffle held on the last day of term, where the children could win bundles of eggs for their family. This will happen during the school day and not during a parent assembly. Please could I remind you that the car park is for staff members. It has been brought to my attention that staff members are unable to access the car park when they are arriving at work, due to parents blocking the entrance. Please be mindful of this and ensure that the car park is not being used as a place to turn around cars in. Thank you for your cooperation in this matter. Finally, we are still working hard to improve our attendance and set a target of 97% for the academic year 2017/2018. Our current attendance figure if 94.7% and so we need to improve this. If your child is absent from school, please contact the school office to let them know why your child is unable to attend. If your child's absence is marked as unauthorised, due to you not informing the school, you could be liable for a fine. Well done to all of the children for returning to school with a great focus and determination. The attitude to learning across school has been impressive. The whole school visit to the pantomime last Friday was really successful and it was such a delight to see all of the children's smiling faces , joining in with all the shouting - in the right places! Attendance is a focus for school this year and for the academic year 2017-2018, I have set a target of 97%. Unfortunately, we suffered a spate of illness before Christmas, but we are hoping children are feeling rested and well after the break. After school clubs will commence the week beginning the 15th January and will end on the 23rd March. It is great to see that our Breakfast Club is well attended at present. Could we please remind parents to book their children in so we can ensure we have the right amount of adults in there for supervision. May children will have received games consoles, tablets or laptops for Christmas, could we please remind parents to check parental settings and make sure your child is safe online. If you require any further support, check the school website or speak to a member of staff. In the event of bad weather, a text message will be sent out as soon as a decision has been made as to whether the school can operate safely or not. We will also inform the Snowline at Lincs FM, as well as putting a notice on our website. We appreciate this may cause inconvenience, but the safety of the children is of paramount importance.